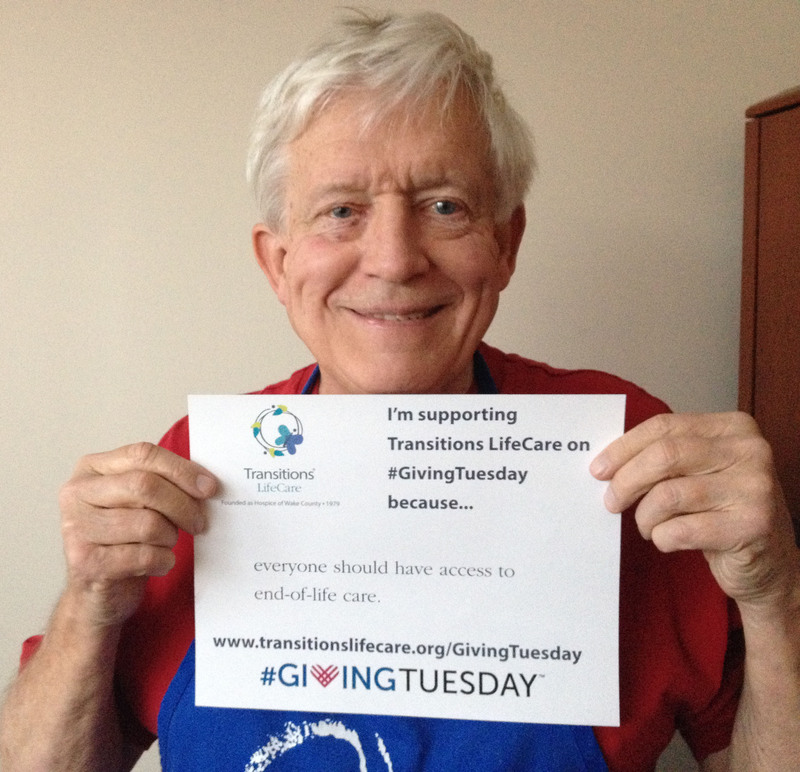 Transitions LifeCare has joined #GivingTuesday, an effort that harnesses the collective power of a unique blend of partners—charities, families, businesses and individuals—to transform how people think about, talk about, and participate in the giving season. Coinciding with the Thanksgiving holiday and the kickoff of the holiday shopping season, #GivingTuesday inspires people to take collaborative action to improve their local communities, give back in better, smarter ways to the charities and causes they support, and help create a better world. It takes place the Tuesday after Thanksgiving and uses social media to create a national movement around the holidays that is dedicated to giving. You can also read about why WRAL’s David Crabtree thinks the need for help will never go away. Make a difference by giving. Join us November 27 as we participate in #GivingTuesday. Your tax-deductible gift will go a long way toward providing medical, emotional, and spiritual support in our community. Your donations give patients like Michael access to the care they need, grant the last wishes of patients like Kay, and keep families like Samiyah’s together at the hardest times. Our Transitions Kids program helps the especially vulnerable by providing home-based care for children dealing with life-limiting illness. When you donate to Transitions Kids, you help keep kids like Samiyah comfortable and at home with their family – still able to receive the care they needs. Help us keep families together for the holidays. Donate today. Make your secure, online gift now to make a difference in someone’s life this holiday season.